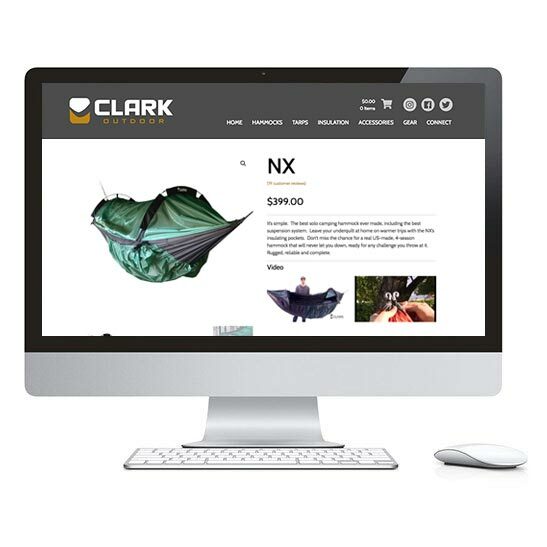 Clark Outdoor Products specializes in creating innnovative hammock tents. The company offers a variety of models including four-season hammock tents, hammock tents for two people, and hammock tents that can be set up on the ground when no trees are available. Order a high quality outdoor product and accessories from around the globe. 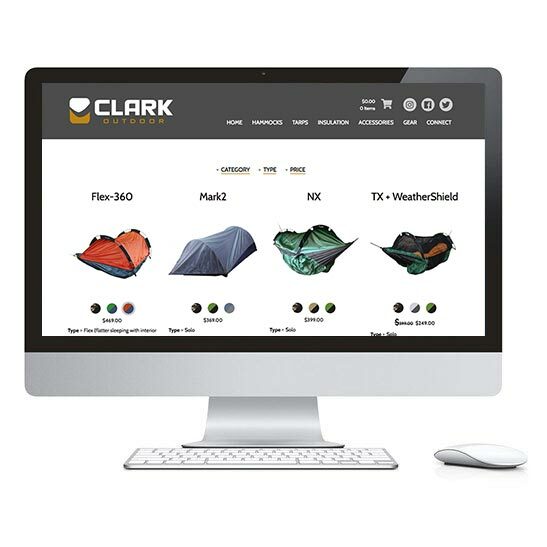 Outdoor enthusiasts and families can enjoy a light, fun-to-use, and durable portable shelter solution – the Clark Outdoor hammock tent. 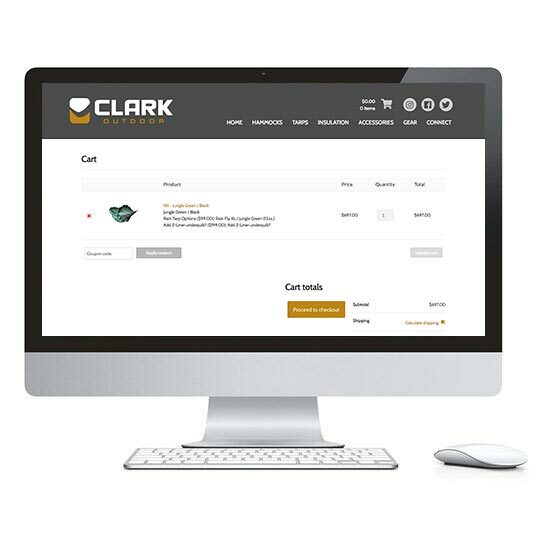 When Clark Outdoor Products contacted Pixelcrane, they were ready to upgrade from their out-of-date eCommerce solution. They wanted the ability to present coupons and other offers to customers based on their country. Other goals included implementing their shipping matrix based on an order's overall size and weight. Pixelcrane created custom shipping tables that took into account the carrier and an array of delivery options based on delivery times. The new eCommerce site is responsive and allows users to write reviews. The client also add/edit products as they see fit. Variants for color options, add-on products, and other features can be attended to in-house by the company's internal site administrator. The name 'Pixelcrane' was chosen because I like web design and I like elevating my clients' presence on the web.